Marie Pettersson began riding at the age of 6, in her native Sweden. Having quickly established her passion for horses and riding, Marie trained and competed in both dressage and jumping during her early career. Since arriving in the US in 1994, she made the decision to ride and compete exclusively in dressage, training with her longtime coach, 5 time Olympian Ashley Holzer and Swedens top dressage rider 7 time olympian Tinne Wilhelmson Silfven. Marie is a bronze, silver and gold USDF medalist all earned on horses trained by Marie herself. She trained and competed her own horse to Grand Prix level and has guided many of her students in achieving their USDF medals. 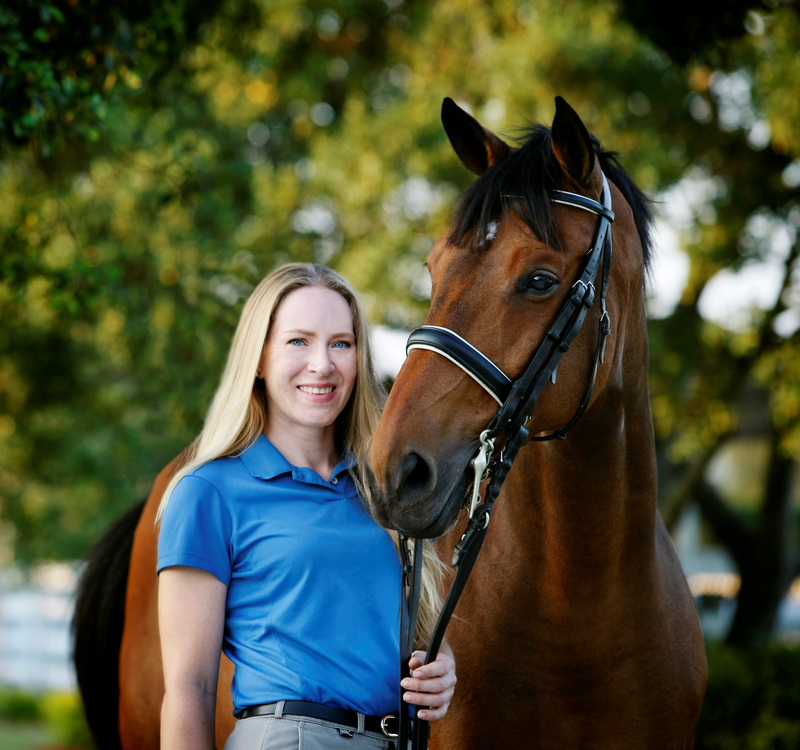 Each year she and her students compete successfully in Regional Championships, US National Dressage Championships,US Junior/ Young rider Championships and the winter dressage show circuit in Wellington, Florida. Although she is based in New York City, Marie regularly holds clinics across the US, as well as internationally as far reaching as Australia. Riders of all disciplines and levels are welcome and encouraged to attend Marie’s clinics, be they a Junior, Adult Amateur or a Professional. Marie enjoys working with all disciplines and levels of riders and focuses on enabling them to pursue and achieve established goals with their horse engaged as a happy and willing partner. Marie’s own experience as a competitor and trainer allows her to work with riders to set achievable short and long term goals that will both challenge each horse and rider team and increase their enjoyment of working towards accomplishing them. With her love of horses, combined with her extensive experience riding and competing at all levels of competition, Marie makes an excellent partner for training horses. She is able to expertly bring younger less experienced horses through the levels, as well as fine tuning more experienced horses. Marie takes her own fitness very seriously and has also successfully combined her love for horses and dressage with her passion for fitness. 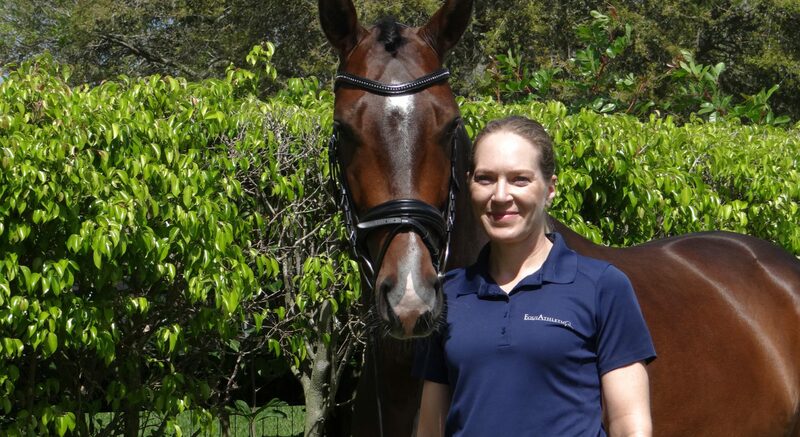 As a certified personal trainer and sports conditioning coach, Marie founded Equiathletic in the hopes of encouraging everyone to take as much pride and responsibility in their own fitness as they do in their equine partner. Marie offers fun and challenging group exercise classes as well as private training sessions all focused of balance, coordination and body awareness . She is a published author as a monthly columnist for Today’s Equestrian and her philosophy is simple: by increasing your own level of fitness you will have a much more enjoyable ride, wether you are a serious competitor, or just want to be able to stay on the horse!